Beautiful, clean cut lines are at the centre of Jake McCombe's designs. 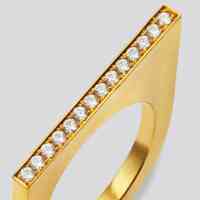 Wear this fabulous ring alone or as a stack, mixing and matching golds and gemstones for maximum impact. 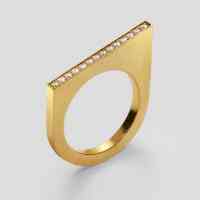 Personalise your own Fine Shapes Ring to suit your style. Choose from 18 carat white, rose or yellow gold, and a range of stones including black diamond, sapphire and emerald for a unique piece of jewellery.